You own a .45 ACP because you want a gun that doesn’t take no for an answer. Ever since its inception in 1904, the brawny cartridge has been known for its stopping power. Even when it’s a FMJ round, testing has shown the resultant wound track is so substantial it can still cause rapid bleeding out. 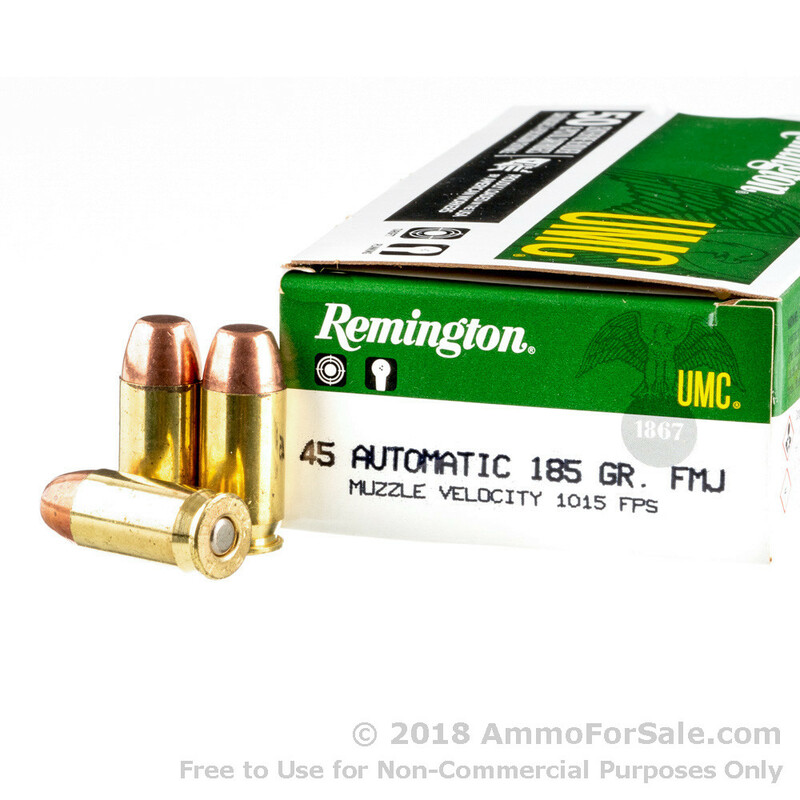 As renowned outdoorsman and cartridge designer Elmer Keith once said, “Big bullets let in a lot of air and let out a lot of blood” and the .45 ACP is an example of a gun that can do that no matter what type of round you load it with. Of course, what target rounds are best for – and meant for – is training, and if you want to stand tall and sling lead down-range using a truly high-quality round, try Remington. These are 185 grain, which is fairly light for the .45 ACP. A lighter round means more speed and can also lessen recoil as well. Remington produces MC – Metal Case – rounds like these for target practice, tactical training, and plinking; MC is almost identical to FMJ. 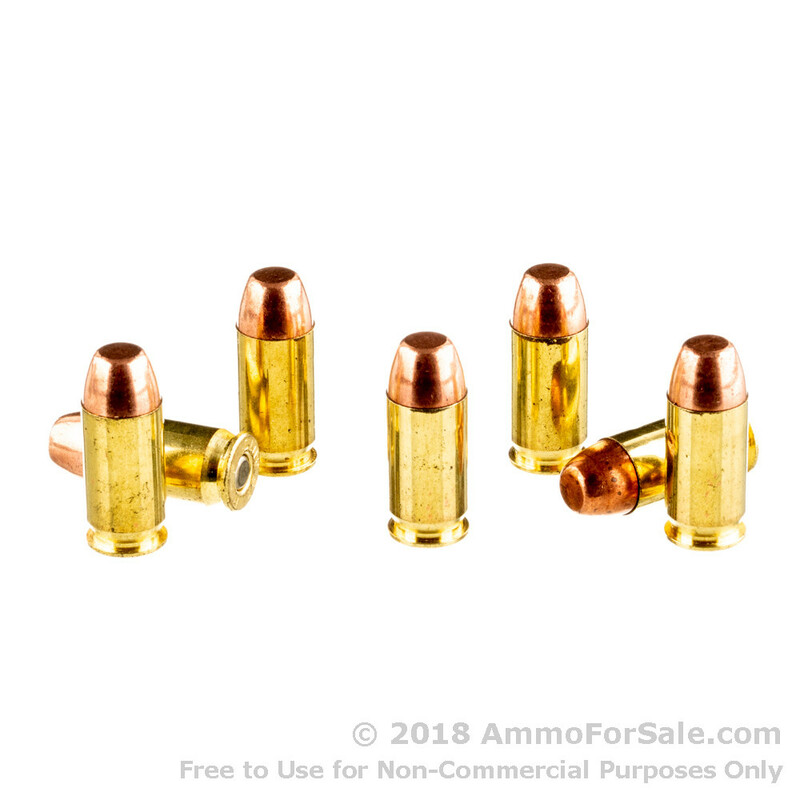 This ammunition is new production brass with boxer primer, so you can reload, and it’s non-corrosive, so there’s reduced friction in your gun’s barrel. It’s undeniably fast with a muzzle velocity of 1,015 feet per second and has a robust muzzle energy of 423 foot-pounds. 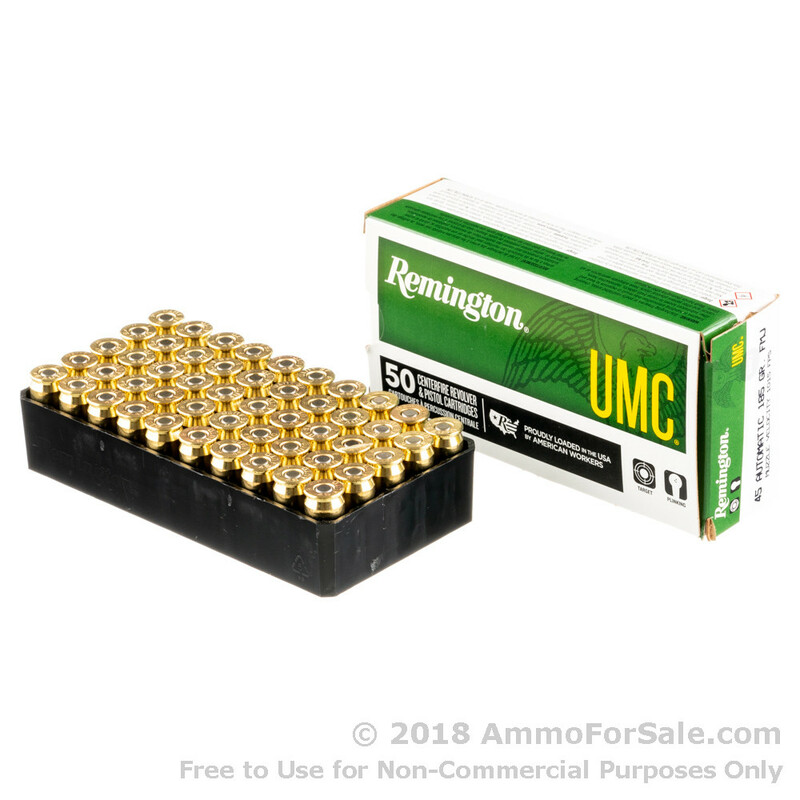 There are 50 target rounds in this trademark green-and-white box of ammunition; it’s a nice size for tucking in your range bag or adding to the stockpile in your safe for later. Remington manufactures these rounds at their plant in Lonoke, Arkansas. The company was founded in 1816, and for two centuries they’ve been producing exactly what sport and hunting shooters need – often before we even realize we need it. Their innovation and dedication is what makes them legendary; if you want high-quality rounds, Remington is one of the leaders in the industry. Don’t let your .45 ACP sit and gather dust. 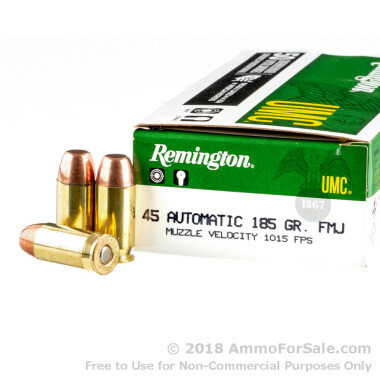 Take it out and use it, and for that, you should place your order for one – or more – of these 50-round boxes of target ammunition.